Rumors that Beyonce and Jay Z were house hunting in Philadelphia may have been based more on wishful thinking than reality, but they got us thinking: Where would celebrities live if they were moving to our town? We played realtor and picked out five homes fit for American royalty. And hey, maybe Bey and Jay can check them out when she headlines the Made in America concert at the end of the summer. 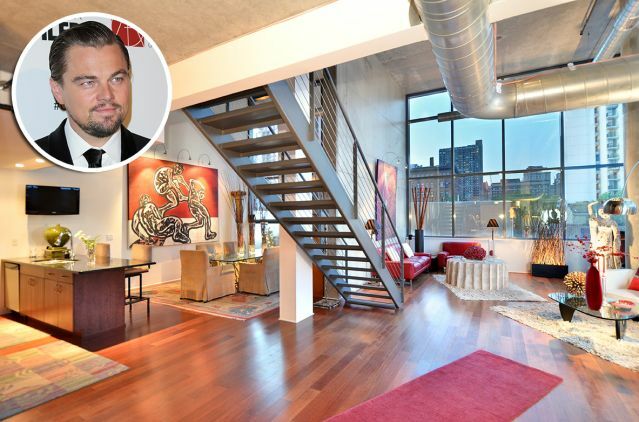 Even the tallest in Leonardo DiCaprio’s posse of models will have plenty of room to stand in stilettos under the 20-foot ceilings at 1352 Lofts at Broad and South streets, set within easy walking distance to his choice of bars and restaurants. The units have a cool industrial feel with concrete, steel and glass, plus balconies perfect for smoking a cigar or engaging in a water gun fight — both of which we hear he enjoys. And if Leo’s been feeling slighted by all the “dad bod” attention, he can head over to The Sporting Club at the Bellevue, which has a partnership with the condos. Read the full article at Metro.us.